M1 is trading our time for money, and actually approximately 95 to 96 percent of the population does that. It has an inherent problem called “saturation”. Eventually you run out of time. Think about it. You only have so much time, and if you’re trading your time for money, you obviously have a ceiling on what you can earn. High paid professionals like Doctors are finally realizing that today. The doctor has to spend more time to earn less money. So does a laborer. So does an accountant. So does a lawyer …. chargeable hours are the most important words in a lawyer’s or accountant’s vocabulary. That’s the ‘M1’ strategy that school teaches us and that we’ve observed our parents’ involvement with, for the most part. If a person becomes wealthy on the ‘M1’ strategy, it’s at the expense of a life. They’ve compromised on the car they drive, the home that they live in, the vacations they take, the school they give their kids, the clothes they wear, because they need the money to live. M2 is an excellent strategy. It involves investing money to earn money. Those who understand it know that ‘leverage’ is a great way to work the ‘M2’ strategy. There are only three people out of 100, though, who truly understand it, and some of those aren’t very good at it. M3 is like our friends, our favourite. It is without question, the strategy that wealthy people have always used. It’s a strategy of ‘leverage‘. Approximately 1% of the population uses this strategy, but they earn around 96 percent of all the money that is earned. 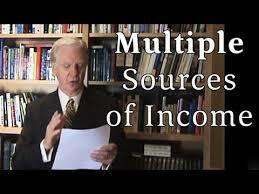 ‘M3‘ is multiplying your time through the efforts of others, by setting up MSI’s (multiple sources of income). Hello there, and welcome. I’m Bob Proctor. You’ve probably seen me in “The Secret.” You know, “The Secret” has, it’s woken more people up all over the world than probably any other 1 medium that anybody’s ever come across. “Secret’s” a phenomenal film, and I was honored to be a part of it. Do you know, I want to talk to you for a few minutes about money. It’s a subject that most people never understand during their entire life. They earn a little bit, they really scratch out a living, but they never learn how to earn money. School does not teach us how to earn money. I’m standing in my library here, there’s probably 3000 books on the shelves. I have them all recorded and I have them all in alphabetical order by author. I never read a book until I was 26. I was earning $4000 a year when I read that book, and do you know, like that, my income went to around $175,000, then it went over a million. Now, I have earned millions of dollars in my lifetime. I was fortunate enough to be introduced to Earl Nightingale and Lloyd Connant, and then I was even more fortunate in that I was able to go and work with them in Chicago, work right side by side with them. In 1968, Lloyd Conannt introduced me to something that literally built the Nightingale-Conannt Corporation and changed my life. It was called “The Science of Getting Rich.” In fact, it was the book that inspired Rhonda Byrne to create “The Secret.” Now, we’ve turned it into a program that’s contained in this case. Do you know, this case carries the essence of everything I have been studying for 40 years. I wouldn’t even know how to place a value on it. It’s helped me earn millions, I’ve spent millions earning millions, it’s changed lives of people all over the world…..
… Now, you may be saying money’s not important. That’s wrong. Money’s vitally important. You may be thinking money won’t make you happy. Money was never meant to make you happy. Money is meant for 2 things, just 2. Understand this. There is an infinite supply. 1 is to make you comfortable. The more comfortable you are, the more creative you can become. The second is to enable you to extend the good you do far beyond your own physical presence. For people to say money’s not important, that’s a foolish statement. It’s generally a defensive statement to a person that hasn’t got any and doesn’t know how to get it. Do you know that 1% of our population earns 96% of all the money that’s being earned. Earning money has nothing to do with intelligence. I had 2 months high school, no formal business education, and my income went over a million a year. Do you know you’ll find people who are functionally illiterate, they can neither read nor write, but they’re earning millions of dollars. Then you’ll find others who are absolutely brilliant, they’ve attended the greatest universities in the world, and they have no money, they’re broke. We’re former accountants of a certain age (60+) with 5 great kids and 3 grandchildren. 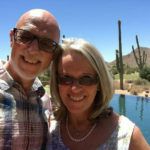 We love skiing and traveling the world and have achieved a fabulous life helping others to start and build a successful business online and now speak on international stages following that passion. Our worldwide educational business is centered on online marketing business education and wealth creation and a desire to help you create financial freedom online through entrepreneurship whatever your age or experience.